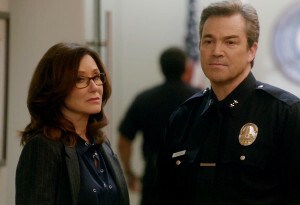 Major Crimes finished its 5th season with a bang, both on screen, and in the ratings. Wednesday’s explosive season finale brought in a total of 2.9 million viewers, a new winter season high since moving to Wednesdays, and a 20% increase over the previous season high. The episode also hit a season high in key demographics, bringing in 0.3 million viewers 18-49, and won the night as the most-watched scripted cable show of the night. Last week’s penultimate episode of the season also took in its own first, winning the week as the week as the most-watched scripted cable show for the first time this winter season. In time-delayed ratings, episode 319 finished its run with 4.66 million viewers in Live + 7 day, almost fully doubling from its Live + SD delivery, and rising over 5% from the prior episode. Greater gains were seen in key demographics, where the episode rose 100% to 0.6 million viewers 18-49. Episode 319 also came in as the second-most watched cable series of the week, coming in only behind The Walking Dead. Major Crimes returns for Season 6 this fall on TNT. As Major Crimes swings into its season finale next week, the ratings for this winter season continue to grown sharply in time-delayed viewing. Episode 318 finished its run in Live + 7 day by almost doubling its viewers, rising 90% from Live + Same Day to 4.5 million total viewers. In the key demographics, the episode saw even more Major gains, fully tripling its viewership to 0.6 million viewers 18-49, and tying for the top spot as the largest percentage gain of the week in key demos. Preliminary numbers for last week’s episode show that it rose in Live + Same Day over the prior week, and finished as the third most-watched scripted cable show of the week, behind The Walking Dead and it’s lead-out, Into the Badlands. Last night’s explosive beginning to the season finale rose slightly over the prior week, bringing in 2.4 million total viewers, and 0.3 million 18-49, and won the night as the most-watched scripted cable program of the night. 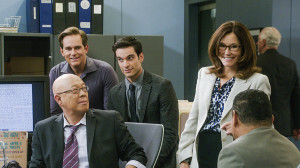 Despite the continued challenges of its new Wednesday time slot, Major Crimes continues perform well, with additional wins this week as both the most-watched cable show of the night, as well as week-to-week gains, and continued wins as the second-most watched scripted cable show across all ratings segments. This Wednesday’s episode saw moderate gains over the previous week, rising 10% to 2.4 million total viewers, and 0.3 million viewers 18-49, winning the night for the 4th consecutive week as the most-watched scripted cable offering. Episode 517 additionally performed strongly throughout last week, and finished as the second-most watched scripted cable show of the week, behind only AMC juggernaut The Walking Dead. In time delayed ratings, Major Crimes has continued to show impressive increases. Episode 516 grew 90% over Live + Same Day, finishing its run with 4.7 million total viewers in Live + 7 day ratings, and an increase of 12% over the L+7 ratings for the winter premiere. Greater gains were seen in key demos, where the episode fully doubled to 0.6 million viewers 18-59. The episode also won the week as the second most watched cable offering in both L+3 and L+7, again behind only The Walking Dead. 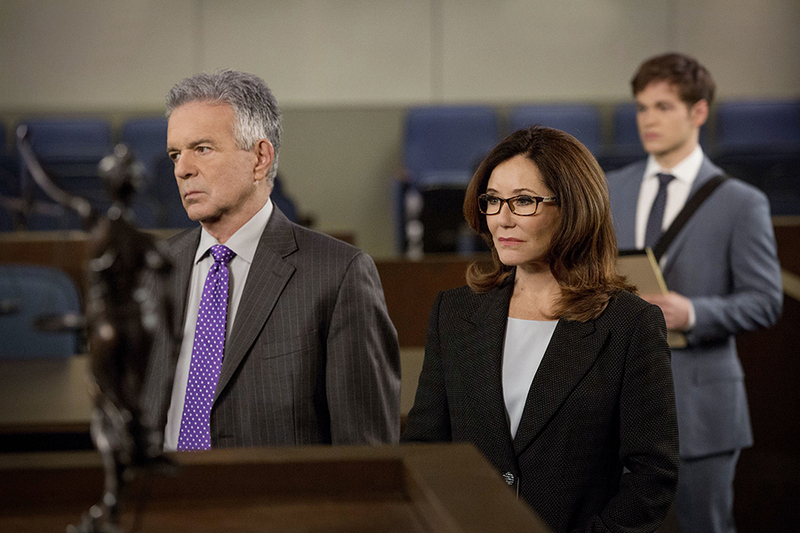 Three weeks into its winter season, the jury is in, and Major Crimes has found its footing on Wednesday nights. 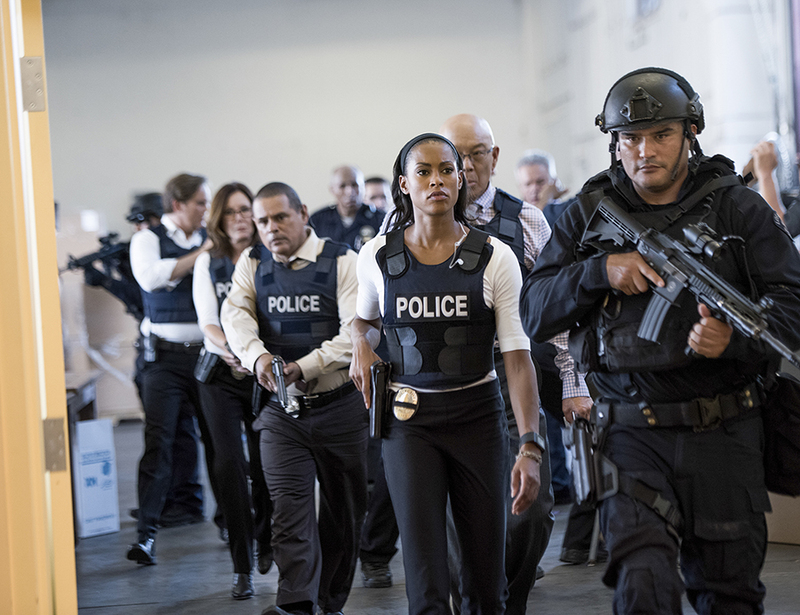 With a perfect storm of February sweeps, a new time slot, and a move to Wednesday nights (the first time the show has not aired on Monday since its premiere), there was concern that Major Crimes might get lost among the greater TV landscape. 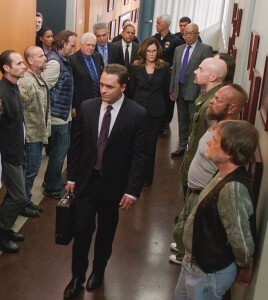 Thankfully, the fans have followed Major Crimes to the new time-slot, and despite a rocky start, the ratings have continued to rise each week, and if the trend continues, will be on-part with the series performance last winter in its normal time slot in within the next two weeks as viewers continue to find the show in on its new night. Last night’s episode brought in 2.5 million viewers, a 38% increase from the winter premiere, and almost 10% week to week from episode 2. Key demographics also rose more than 30% from the premiere, coming in this week at 0.3 million viewers 18.49. Last night’s episode also won the night as the most-watched scripted cable program. 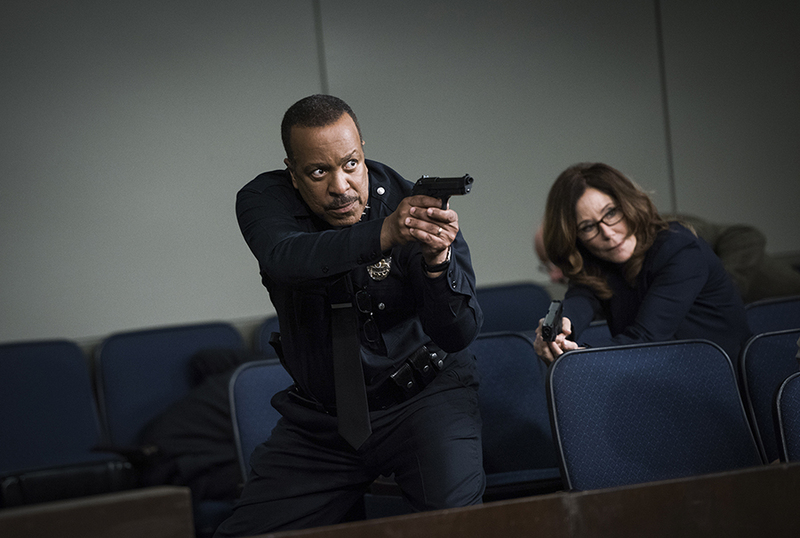 In time-delayed ratings, Major Crimes saw even greater growth, as fans who may have missed it on the new day and time are finding it on DVR playback. The winter premiere almost doubled its viewership in Live + 3 day, growing 94% over its live + same day viewership. UPDATED 4:45PM PST: In L+ 7, even larger gains were seen, with the winter premiere episode finishing with 4.2 million total viewers, up 120% over Live + SD. Even greater increases were seen in key demos, which added increased 150% over Live + SD to 0.5 million viewers 18-49. Major Crimes continues to be extremely strong against the rest of the cable landscape at large, coming in as the second-most watched scripted cable series of the week in Live + Same Day, L+3 and L+ 7 day, behind only AMC ratings powerhouse The Walking Dead. Major Crimes is all new this Wednesday at 9p/8c on TNT. 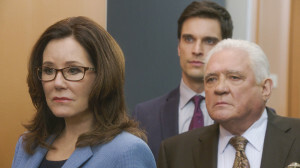 As its summer season begins to wind down, Major Crimes continues to heat up the ratings race, hitting new highs in both same day and time-delayed ratings. In time-delayed ratings, episode 509 finished its run with the greatest gains across all of cable in Live + 7 day performance, rising 74% over the Live + Same day performance to 6.84 total viewers. Even bigger gains were seen in key demographics, which rose 150% to 1.0 million viewers 18-49. In Live + 3 day viewing, episode 510 likewise is on track for a big finish, so far showing the biggest gains in total viewers , up 58% over Live + Same Day. In total viewers the episode is currently holding the #2 slot just behind Rizzoli and Isles. In key demographics, the episode has thus far grown 80% to 0.9 million viewers. Last week’s season high episode continued to perform extremely throughout the week, finishing as the second most watched cable series of the week, behind the season finale of Rizzoli and Isles, and more than 700,000 viewers ahead of third place finisher Fear the Walking Dead. Last night’s penultimate episode of Major Crimes likewise performed well, despite the across-the-board drops seen by all cable and broadcast shows of the night due to the return of Monday Night Football. 3.3 million total viewers tuned in to part two of the Major Crimes season finale, as the team continued to seek justice for Chief Taylor and unravel the conspiracy around them. Despite the competition from football, the episode outperformed Sunday night’s season finale of The Last Ship, the only other TNT original currently airing, by more than a million viewers. The episode is also expected to perform strongly in time-delayed viewings, once DVR Live + 3 and Live + 7 day numbers are available. Overall, while the rest of TNT’s summer slate has seen double-digit losses in their average viewership from 2015 to 2016 (The Last Ship: -24%, The Librarians: - 45%, Murder in the First: -33%), Major Crimes is the only TNT drama to grow from 2015, adding 5% in total viewers year to year. Once again, we at MajorCrimesTV.net want to thank the fans for their continued support of Major Crimes, and encourage as many as possible to watch the series live for next week’s summer finale. 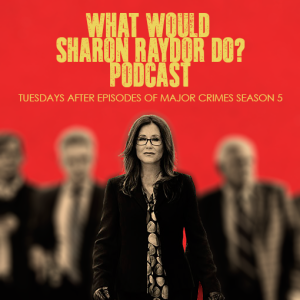 We also strongly encourage reaching out to TNT to let them know you support Major Crimes, and that you’d like to see them renew the show for a sixth season. You can tweet them @TNTDrama, visit them on Facebook, and for more information on how to make your voice heard, click here.